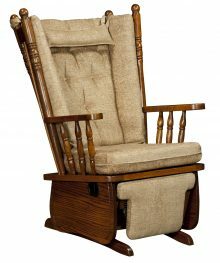 There’s something about gently swinging or swaying in a comfortable rocking chair or glider that can relieve the stress of the day and put your mind and body at ease. 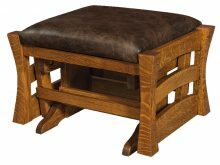 Our wide selection of solid wood Amish Rockers and Gliders includes pieces featuring the classic Mission and Shaker styles that have been a fixture in American homes for generations. 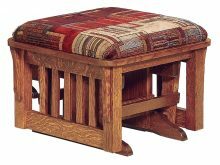 You’ll also find an assortment of ottomans and footstools – there’s something for every home! 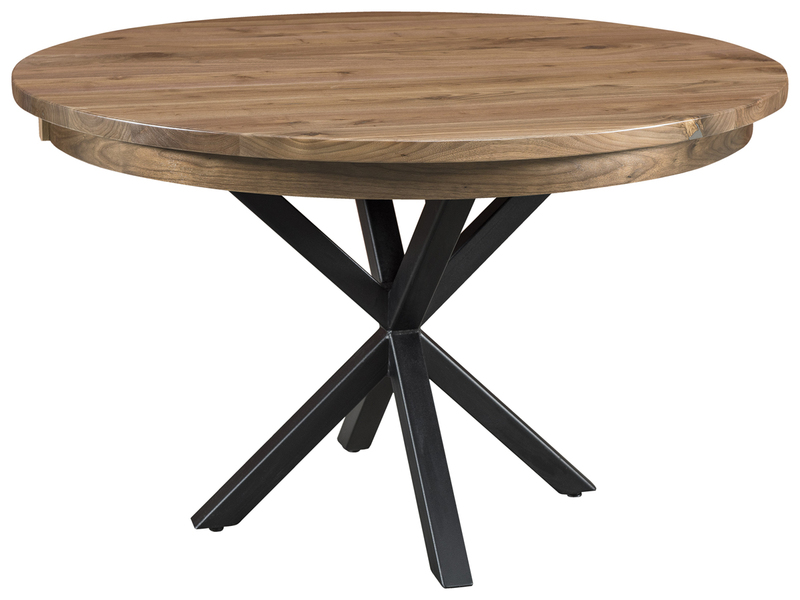 Modern furniture-making processes tend to emphasize quantity instead of quality. At AmishOutletStore.com, we take the opposite approach. 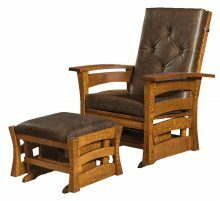 We employ the services of the finest Amish artisans who still make furniture the old-fashioned way: one piece at a time and completely by hand. 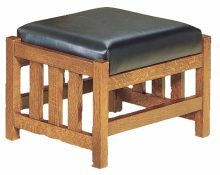 This ensures we only produce high-quality furniture that exceeds our customers’ expectations. We never use cheap materials in our pieces, either. 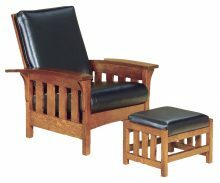 You get to choose from sturdy northern kiln-dried hardwoods such as maple, cherry and hickory. This dedication to old-fashioned furniture-making ensures you get the best possible product. 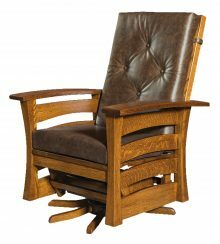 Our solid wood living room rocking chair will remain strong for years to come, even if your three-year-old rocks on it for hours every day or your teenager curls up in the glider nightly while talking on the phone. It will even support a large, napping dog easily for hours at a time. 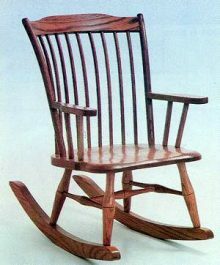 What Makes Our Mission- and Shaker-Style Living Room Rocking Chairs Unique? 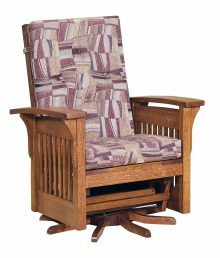 Another thing our customers love about our rockers and gliders is their versatility. They’re at home on your front porch as well as in your living room. You can put them in a nursery or save them for your own bedroom, the perfect place to curl up with a good book after a long day. 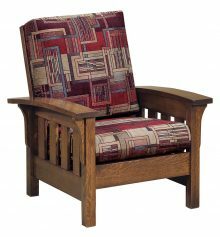 A glider or rocker will look great in any room. You could even put one in the kitchen if you have enough space — just imagine how fun it would be to shuck corn or help the kids with homework while rocking away! 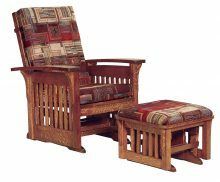 Make sure you have plenty of space around your rocker or glider so you don’t bump into a wall, another piece of furniture or even a person while you’re rocking. You may want to try the piece out in several locations before committing to a final spot to ensure you have the right amount of wiggle room. We offer a wide selection of styles, designs and sizes because we know all houses are different. 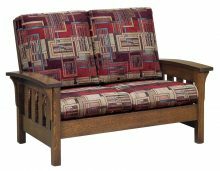 We want you to find the furniture that fits best with your décor. 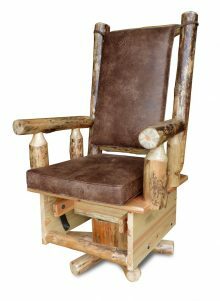 If you favor a more contemporary design, a glider with a leather seat may be a fun option. 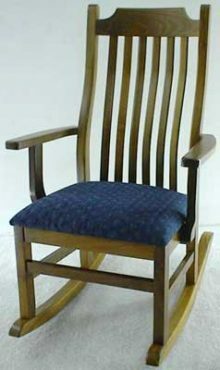 However, if you enjoy country chic, a grandma rocker with paisley fabric would be a neat way to draw people’s eyes. Take into account size, too, when choosing your chair. 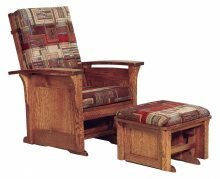 You’ll need a swath of space around the chair for rocking, so you may want to get a smaller chair than you would for a stationary piece of furniture. Great Prices and Friendly Service: That’s the AmishOutletStore.com Way! 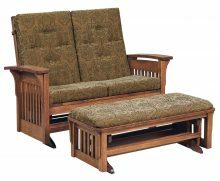 You can save as much as 33% off the regular retail price of any rocker or glider in our inventory if you place your order today. You’ll also enjoy doing business with us. We’re a small-town company located in the heart of Amish country in Smithville, OH that still believes in providing attentive customer service. We’re always available to answer your questions regarding customization, pricing, shipping or anything else. 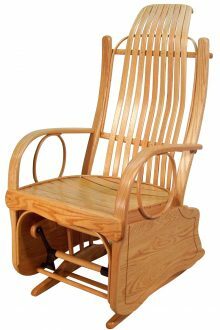 Please take a few minutes to explore our current inventory of solid wood Amish Rockers and Gliders!